Los Angeles, California, October 11, 2013, 8:53 am -- /EPR NETWORK/ -- Alja Thompson was an accomplished R&B recording artist with the 1980s band, General Caine, and has four albums to his credit with CBS Records. During the height of his career, Alja got involved with drugs, which devastated his life and ultimately led to his incarceration. It was a galvanizing reality. Totally defeated, he began a quest for truth and encountered the Christian-Judeo God along the way. It proved to be an event that completely changed his life. Born in New Orleans, Louisiana, young Alja learned to play music at the age of three. “In fact,” he explains, “I don’t remember life without music. Eventually, it became my life.” As a young musician he played the drums, marching in the world renowned Mardi Gras parades of New Orleans and also performed with jazz ensembles on the Mark Twain River Boat while sailing down the Mississippi River. In his late teens Alja’s music career advanced to Los Angeles, California, where he performed with James Brown, the Godfather of Soul, War, Rick James, and The Silvers, and finally became a member of the funk-rock group General Caine. Throughout his music career, Alja felt that something was missing; convinced that his life bore a much greater purpose. Today, Alja Thompson is the founder and senior pastor of Sanctified Army Ministries, in Los Angeles, California. He holds a degree in Theology and is called by God to break down the strongholds of poverty and human suffering with the love of Christ through his warm, gentle affection for people. 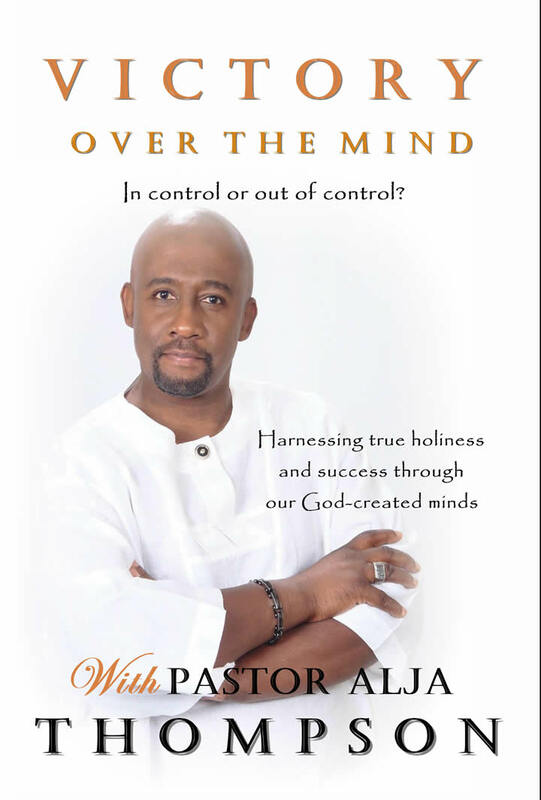 As a result, Pastor Thompson has written his first book, entitled Victory Over The Mind. Of the multitude of Christian and secular, self-help books that you’ll ever read, Victory Over the Mind is a truly splendid accomplishment. Follow along as Pastor Thompson delves into scripture to unveil the power that God placed within us. Victory Over the Mind is an awesome adventure, an excellent teaching accessory for the classroom setting and a must-read for anyone struggling with a restless mind. Find Alja Thompson’s Victory Over The Mind at … Amazon Books Alja Thompson!